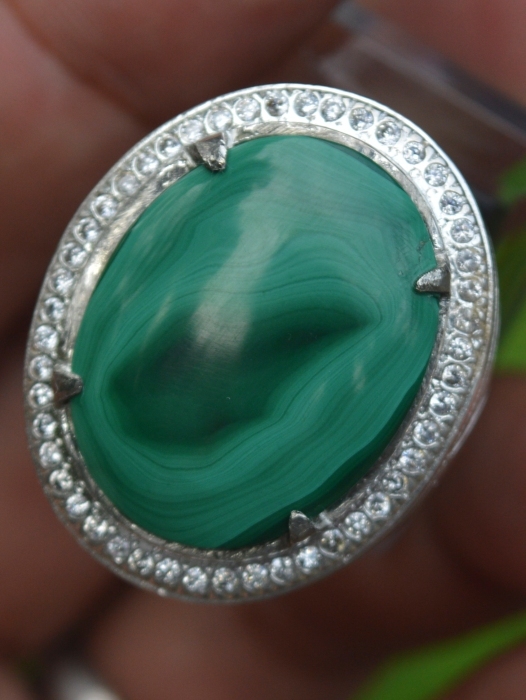 This is a very good Natural Malachite. 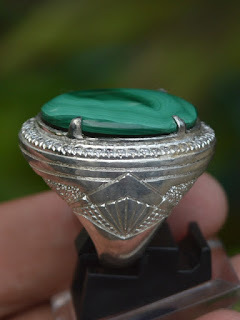 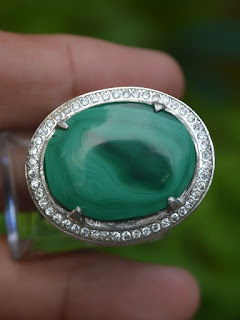 This is a unique gemstone which has beautiful line pattern. 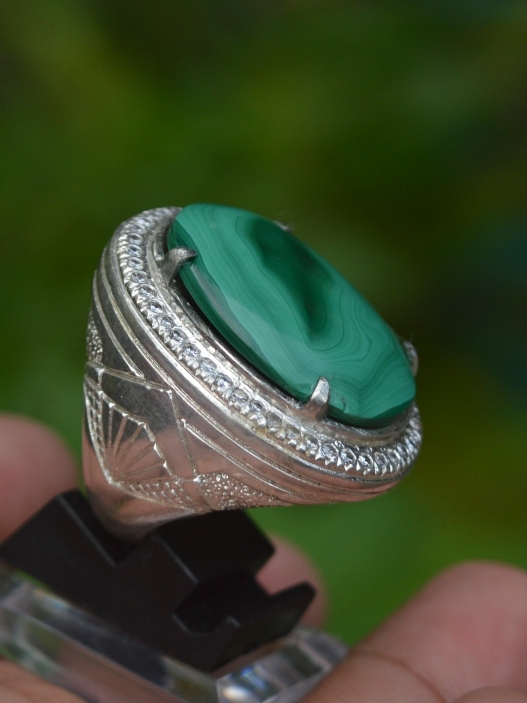 It is already set on a beautiful 20mm alloy ring. The size of the gems is (est) 26mm x 20,2mm x 3mm. 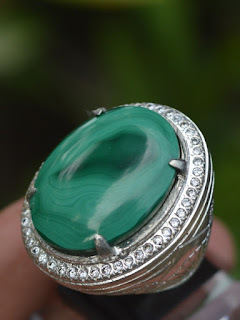 Get this beautiful Natural Malachite now!